Summer has finally arrived! You know what that means…endless activity out and about Sun Prairie or around Madison to make up for the time we spent indoors. Prairie Athletic Club has so many activities and events for you and your family. Every summer, everyone is interested in Dolphin’s Cove Waterpark, and 2018 shouldn’t be any different. This year, Dolphin’s Cove has added the new Jumbo-Tron Outdoor 229″ HDTV to it’s attraction list. The Larger-than-life LED video screen experience that until now has been reserved for massive concert arenas and sports stadiums is now here for all PAC guests and members. Experience Dolphin’s Cove: Dane county’s BEST and Madison area’s ONLY private outdoor water park! Visit the brand-new schedule for updates, time open and to explore what’s on the Jumbo-Tron. A valuable resource for guests and members, Prairie Athletic Club’s schedule will update the Dolphin’s Cove Hours every day by 9am. Plan a visit with us and experience a vacation day like no other! Summer recreation at Prairie Athletic Club revolves around water, whether we’re gliding over it, splashing in it, or floating completely lazily in it. 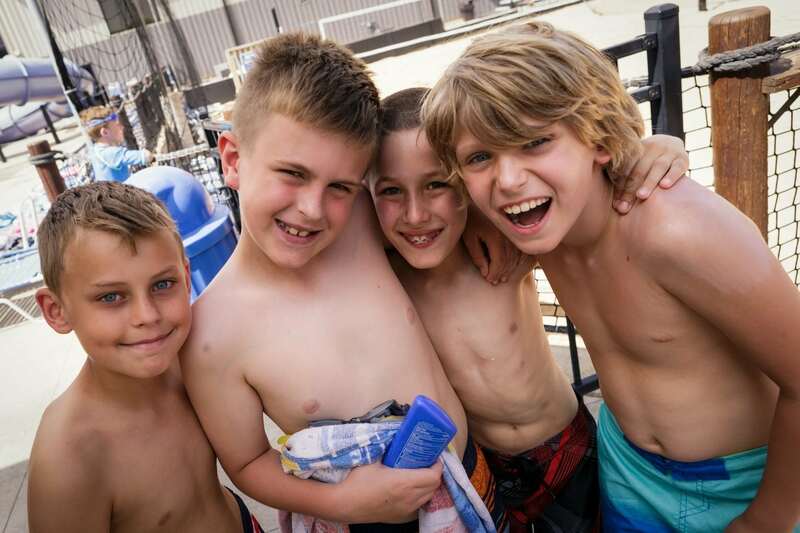 For a quintessential in-the-water experience with your family or friends, enjoy our 800 ft. of high speed super slides, a zero entry family pool, 250 gallon water bucket dump, lazy river and of course the adult’s pool. Treat yourself and your whole crew to dinner while enjoying a cocktail on one of Dolphin’s Cove outdoor patios. Enjoy an island escape as guests or members while you relax at Parrot-sise Palms island bar & party deck. Enjoy the sounds of Jimmy Buffet, the Beach Boys and Bob Marley as you sink your toes into the sand and sip your favorite tropical drink. We can cater a variety of themed parties and celebrations outside during the summer months (see below). Parrot-dise Palms will comfortably handle groups of up to 100 or more for corporate party options. Our island getaway, complete with neon palms and sandy beaches can also be reserved for kid’s birthday parties. Click here for more information about corporate private parties and here for kids parties. 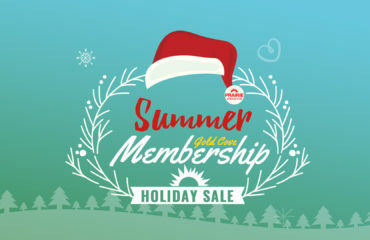 Gold Cove Summer & Dolphins Cove ONLY Membership’s On Sale. Summer membership is valid from June 1-August 31, 2018. You can now add-on more time to your summer membership to include our Labor Day Party Weekend for only $50. Available Student Memberships: A parent must accompany students under age 18 on their first visit to sign waivers. Become a Prairie Athletic Club Member Today. Join here.